Today Mike and I are spending the day with Jonathan and Cory shooting a men’s style series that will begin next week. We are so very excited to be working together and collaborating on a project like this. Planning took a lot of work, but it honestly has been a total blast. It always surprises me to see what happens when a few creative people bring their minds together around a central idea. It never fails to impress. These are just a few images that have inspired the series thus far. It is all about simplicity, nostalgia, and great design. It was fun to lay out all the pieces on the floor this weekend and create palettes and concepts based upon various items and clothing. Cannot wait to share more! I love men’s style. That first image is amazing. 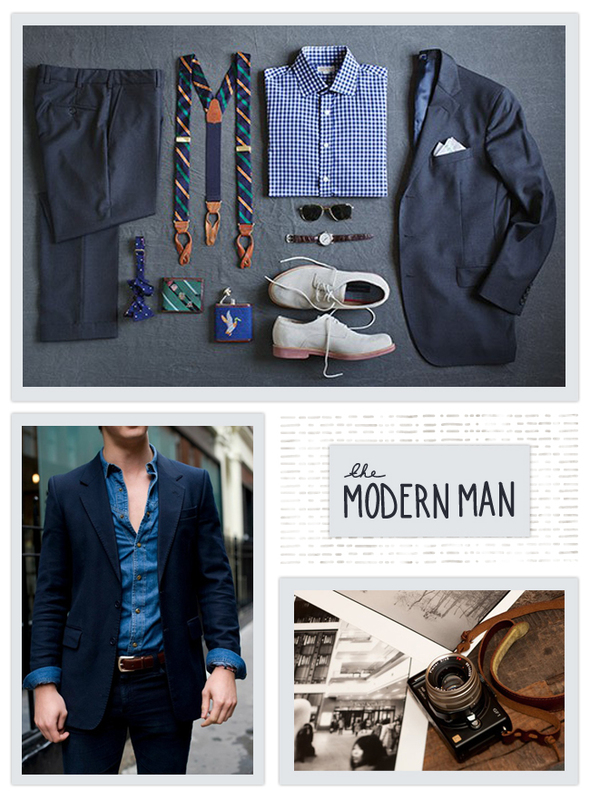 It’s cool how simple and versatile men’s clothing can be.